Shirley M. Warren age 84 died Tuesday, October 2, 2018 at UH Cleveland Medical Center. Shirley was born on June 6, 1934 the daughter of Anthony and Mary (Dello) Julio, Sr. She was a 1954 graduate of Conneaut High School. Shirley went to work at F.W.Woolworth, Citizens Bank as a teller, Phil Crest “PA” Snodgrass and then for over twenty years as Auditor for the City of Conneaut until her retirement. Shirley was a member of Corpus Christi Parish and attended Mass at St. Frances Cabrini Church. 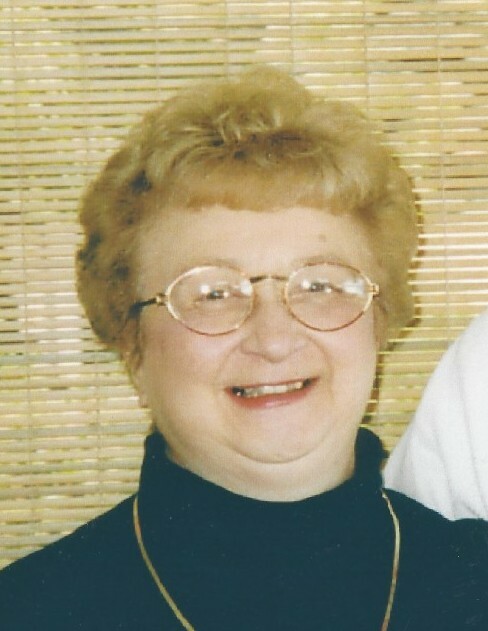 Shirley served on the Conneaut Human Resources Board, Children Services Board, County Board of Elections, UH Brown Memorial, St. Frances Cabrini as festival treasurer, church council and the Food Pantry as treasurer. She was an election poll worker and volunteered in the gift shop at Brown Memorial Hospital. Shirley would also do income taxes from her home to help people for many years. Shirley was preceded in death by her parents, her husband Robert Warren, June 2018, and her sisters Doris Copple, MaryJane Adamack and Janet Woodworth. She is survived by her daughter Rhonda and Richard Sears of Conneaut, brother Tony and Norma Julio, Jr. of Conneaut, sister Theresa DeMarco of Conneaut, four grandchildren Leandra, Robert, Alex Sears and Lisa Glaus, five great-grandchildren, Serenity, Zola, Cincere, Ethan and Sawyer, and several nieces and nephews. Calling hours will be held from 5:00 p.m. to 8:00 p.m. on Sunday, October 7, 2018 at the Raisian Family Funeral Home, 581 Harbor Street, Conneaut. Mass of the Christian Burial will be held at 10:00 a.m. on Monday, October 8, 2018 at St. Frances Cabrini Church, 744 Mill Street, Conneaut with Father Philip Miller of Corpus Christi Parish officiating. Burial will follow at St. Joseph Cemetery in Conneaut. Memorial contributions may be made to the Conneaut Food Pantry or Corpus Christi Parish. Envelopes will be available at the funeral home.